Description Picture postcard sent by Cora to Marion (Magone) Glenn. 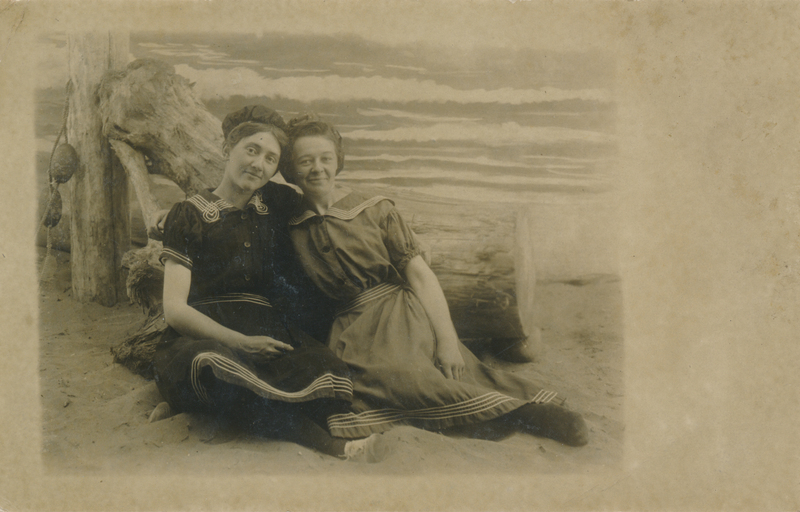 Cora is likely Cora Wilmot posing with cousin Lulu Magone on the front of the postcard. Cora would have been 33 years old in the picture and Lulu 26 years old. Cora was the daughter of Mary Lucretia Carman Wilmot and the granddaughter of Waters and Lucretia Allyn Carman. Photo courtesy of Gary Glenn.